Provide comfort for the family of Bret Kerr with a meaningful gesture of sympathy. Bret A. Kerr was known as a jolly soul, who frequently liked to imitate Chris Farley. He was born in Denver to Richard and Delores, on a cold winter’s day, November 20, 1959. Bret was the jokester baby of the family with an older brother, Rick, and sister, Carolyn. Bret had a zest for life, with his bright smile and contagious laughter. You often found him and his big floppy eared “boy”, Sonny, hanging out on his boat. Often you could see him zipping around on his jet ski. Favorite pastimes included camping, fishing, riding his motorcycle and being outdoors. He loved to spend time with family or hang out with his wide array of friends. You could always find him listening to his mixed genre of music. He had a special place in his heart for of all of his previous beloved dog “children”. Bret worked very hard for many years in the printing business. He owned an excavation company and later went on to become a very skilled and sought-after estimator in the heavy construction industry. Bret left us suddenly on April 9, 2019. He left behind his dear family: sister, Carolyn Kerr; nieces and nephews, Jerolyn Bender, Jared Bender, Amberly Materi and Ricky Kerr; his boy Sonny, aunts and an uncle; step-siblings, great nieces and nephews, many cousins, and more friends than can be counted. Bret lost his beloved mom and step-dad, Donald Miller, as well as his father, and brother, Rick, in years prior. Being the social butterfly that Bret was, he would be overjoyed to have you join us for his service and Celebration of Life. Lunch will be served after the service and an opportunity to share fond memories. 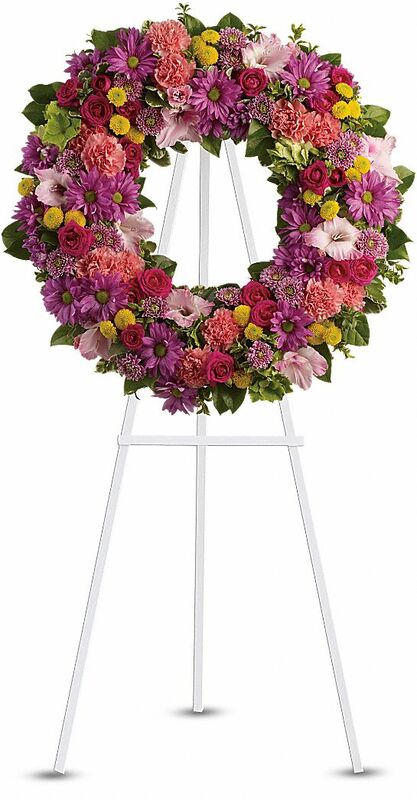 A memorial service will be held at 12:00 Noon on April 20, 2019 at Ahlberg Funeral Chapel, 326 Terry St., Longmont. Celebration of Life immediately following at the Longmont Elks Lodge, 306 Coffman St. Longmont. To send flowers in memory of Bret A. Kerr, please visit our Heartfelt Sympathies Store. Reception will immediately follow the memorial service. Robert, Susan, Macie + RJ Kerr sent flowers to the family of Bret A. Kerr. "Bret Kerr" will remain in our hearts forever. Robert, Susan, Macie + RJ Kerr purchased the Ringed by Love for the family of Bret Kerr. Cousin Bret you will be missed, always a big heart and a big laugh, sorry I wasn’t able to spend more time with you over the years. We were experts in spit wads as kids much to the dismay of our parents. I will remember you often. We felt this was the best way we could carry on Bret's memory. He was so special. He will live in our hearts forever. May God be with the family, prayers to all. Very nice caring person. Ride the golden highway!